What is TRADiTREE? 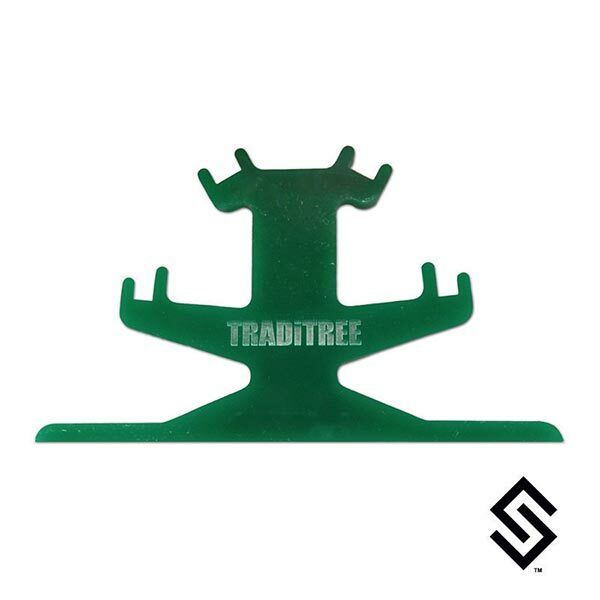 It is a tool to aid you in stringing a traditional lacrosse pocket in modern field heads. After you string the sidewall, TRADiTREE sits on the back of the head and holds the four leathers in place as you string the traditional pocket. It can be used for most any traditional pockets like single string traditional, double traditional, pitas, X pockets, O pockets... and the list goes on. It takes the place of using a ball and butter knife or chopsticks. The leather slots follow the angle of the ball. It is a true pocket form. The slots are at tangents to an official lacrosse ball size. After, you slide out the TRADiTREE and the ball sits perfectly where ever you placed the pocket.